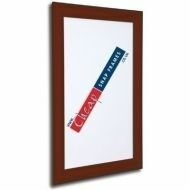 Red Brown Poster Frames with a 25mm frame width using the snap open and shut mechanism, so really easy to use. The lovely warm red brown frame is made from 25mm extruded aluminium so is robust. 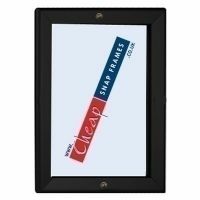 Our red brown poster frame has a 1.5mm strong plastic back panel and is supplied complete with an anti glare poster cover to keep your images nice. Available in a large range of sizes from A5 through to 60" x 40". Delivery is £10 + VAT to London and UK mainland.